The signal had flickered into existence without warning, a sudden complex sequence that almost filled the awaiting databanks within moments and laid out an array of schematics beyond comprehension. For years they labored, first to understand and then to build the machine it described, a craft that could finally escape the outermost reaches of the solar system and carry a single human beyond the limits of their star, to the point of the signal’s source. They picked the passenger with care – their most capable pilot, linguist and scientist, ascribed beyond the limits of fear through overwhelming curiosity… The journey was swift, covering that most immeasurable of distances in human terms within days. As he drew close to the origin, far from the sun and beyond the influence of the system, it appeared as a speck in the distance but quickly grew into a sight of overwhelming complexity, a vast silent ship, and static in the darkness, blotting out the light of distant stars. As the shuttle drew close, it shuddered into life, internal lights hesitating before firmly illuminating and colossal vents purged gases into the yawning nothingness of space. The vessels nestled together, extending appendages and exchanging code. With a sigh the airlock opened and sequential lighting ushered him within the vacant hulk, a faint trembling of power running through the hull and beneath his feet. He entered the endless chamber with wide pupils, so big that it receded into blackness, the overwhelming mechanism before him filling his vision – a vast sphere engineered to an impossible configuration… a pathway to the stars… the WARP DRIVE. 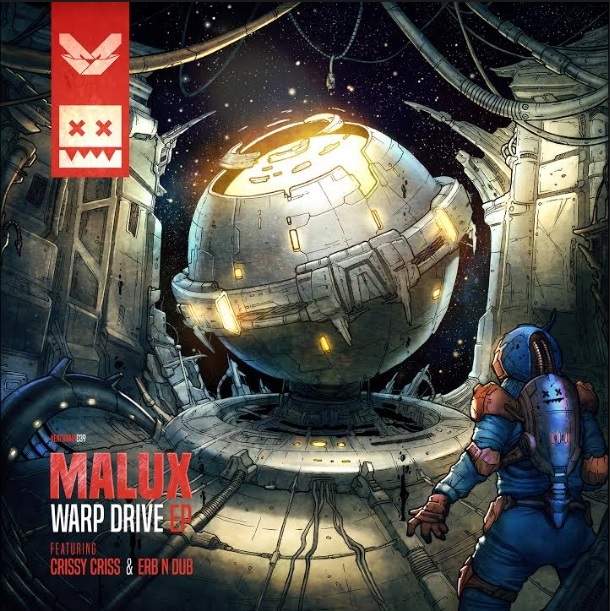 Malux is an artist who surged into the drum & bass sphere suddenly in 2016, delivering a tight selection of releases on some of the leading labels in the genre and making his mark on the European live scene with rapid success. With the release of his “Warp Drive Ep” on the label at the epitome of the neurofunk scene, EATBRAIN, 2017 sees him firmly open up a new horizon with a selection of 5 powerful tracks designed to utterly atomise the dance. 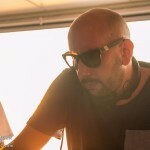 Including his trademark tear-out sound in IGNITION, the swift-paced syncopated vibe of MODULUS and the extraordinarily crafted destruction of title track WARP DRIVE, as well a powerful 2 stepper in collaboration with ERB N DUB and legend CRISSY CRISS. Eatbrain deliver a new and highly effective producer into their trend-setting roster, once again affirming their ability to pick the most exquisitely effective drum & bass.